Rachel is a diverse maker that brings her beautiful talents to The Crafter's Box this month to teach the age-old art of batik. In July, we will learn about wax resist dying and how to create beautiful textile wall hangings from this classic methodology. What's just awesome about this particular crafting style is that it can be applied in so many ways! Rachel shares how to combine lettering and wax resist dying, after accomplishing our classic wall hangings we encourage you to try your hand at dying in multiple layers, using wax to create intricate patterns or bold shapes, designing large wall hangings or fabric for use around the house elsewhere. Rachel is a professional maker with over fifteen years experience designing both products and projects in the home decor, wearable, and craft categories. 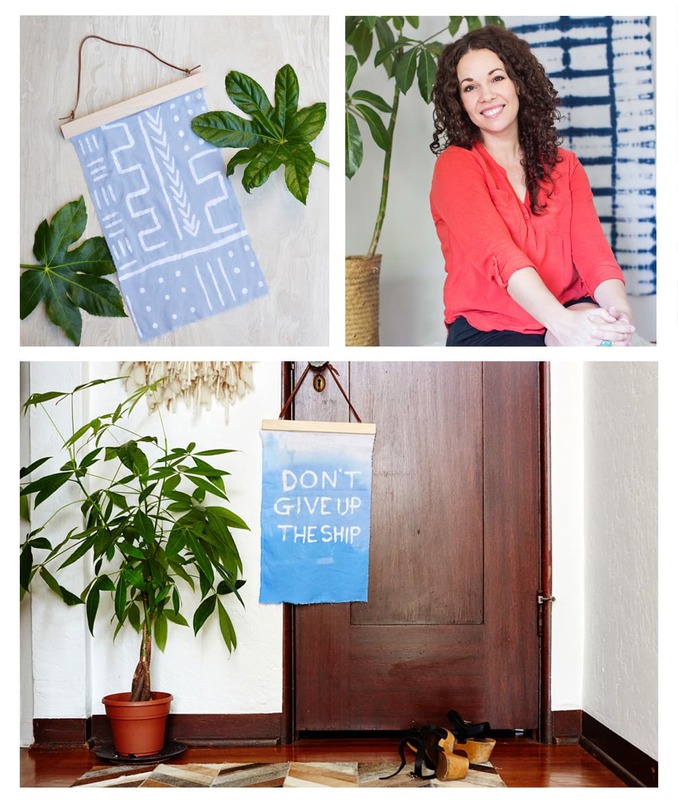 She's taught over a dozen skill based e-courses in the last seven years, regularly contributes DIY's to A Beautiful Mess, works with a variety of brands to create fresh, creative content, and has her first publication, DIY Woven Art (now available for pre-order on Amazon), with Interweave Press, set to release this August! You can usually find her dreaming up new content in between helping kids with homework or pushing them on the swings. Her favorite creative challenge is finding ways to marry traditional techniques with on trend elements for something fresh and interesting. Her work has been featured on Apartment Therapy, in HGTV magazine, Good Housekeeping, Curbly, Bob Villa, Better Homes & Gardens, Design Sponge, and more! You can find Rachel at SmileandWaveDIY.com and follow her on Instagram at @smileandwave.